It’s looking less and less likely that Soundgarden will ever reconvene following the death of vocalist Chris Cornell. Guitarist Kim Thayil has yet again shunned the idea of the surviving band members getting together and releasing new music or doing a tour. “It’s not likely that we could ever do Soundgarden without a missing piece,” Thayil said in a new interview with Billboard. 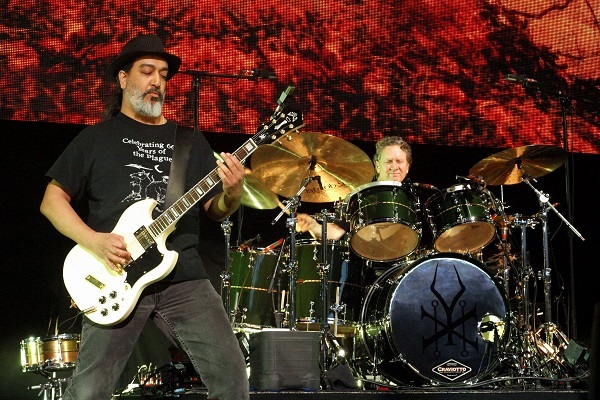 That said, Thayil would like to still work with Soundgarden drummer Matt Cameron and bassist Ben Shepherd in some way. “That’s why I’m overseeing the catalog and the merchandise, and I’ve been doing that all along because it’s important that the legacy is understood,” he added. “There’s an ever-expanding demographic of potential Soundgarden fans amidst a shrinking demographic of consumers, so it’s important that they there are good ways for them to hear what we did. A special, career-spanning Chris Cornell box set arrived this past Friday (Nov. 16), which Thayil helped put together. The set features a variety of different Cornell tracks that he crafted throughout his career.